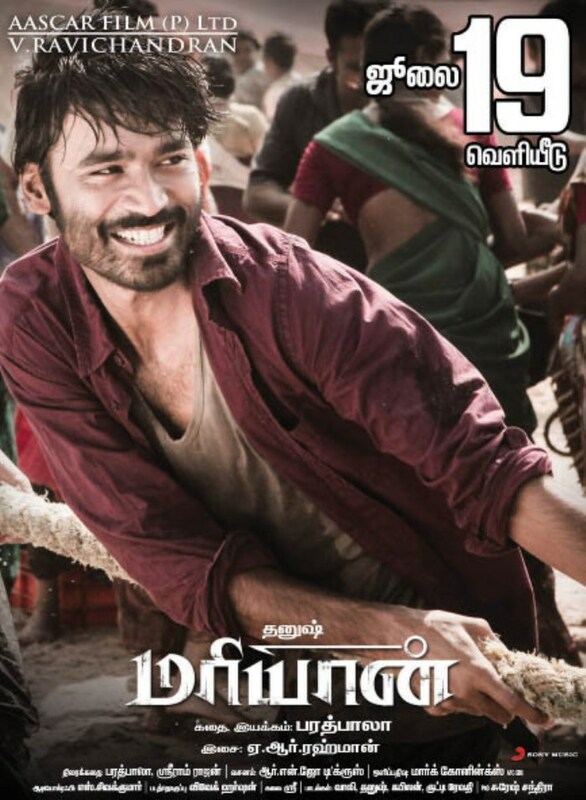 Actor Dhanush, Actress Parvathi Menon starring Mariyaan Movie Release Posters. Directed by Bharat Bala and Produced by Venu Ravichandran under Aascar Films banner. Music scored by AR Rahman and Cinematography by Marc Koninckx. Salim Kumar, Appukutty, Jagan, Uma Riyaz Khan, Rama, Imman Annachi, Vinayakan, Dagbeth Tweh in other cast.